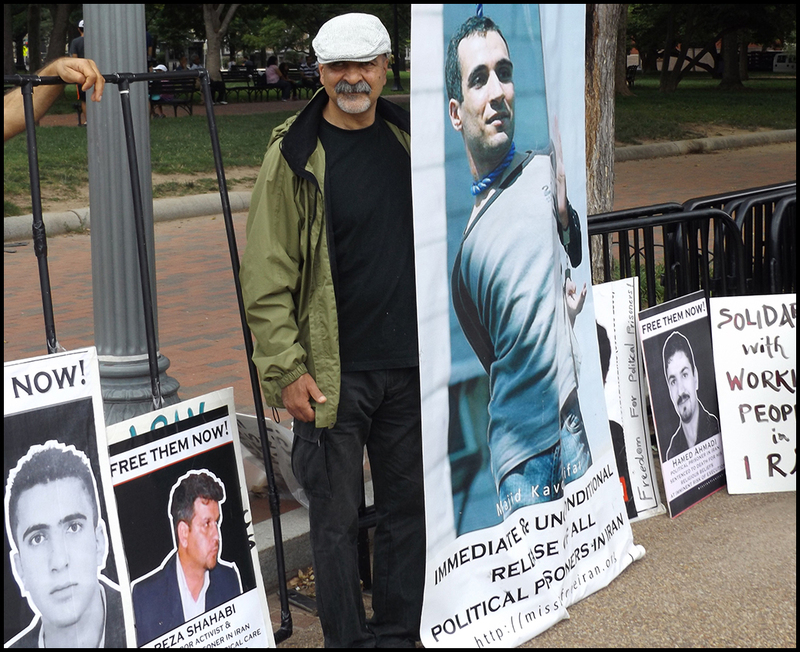 This statement was given by Mission Free Iran’s Ahmad Fatemi at the 22 June 2014 Washington DC action on the occasion of the International Day in Support of Political Prisoners in Iran. Everybody knows how the working class of Iran has struggled for its rights during the past 4 decades, among them the right to organize and have independent organizations. At the same time, workers have witnessed how the capitalists, under protection of their government, the Islamic regime of Iran, have put more pressure on the working class, especially their leaders and representatives. At the moment there are tens of labor activists in prison charged with endangering the security of the country and other bogus charges like this. But parallel to these pressures, workers of Iran continue their struggle in an unprecedented way. They more often than not achieve their goals too; to mention a few of the highlights of recent months, one must mention Bafgh’s iron ore strike which continued for over a month, and the Saveh metal workers’ successful protest and strike. Meanwhile, the pressure of the capitalists and their government on workers does not decrease, and persecution of the leaders of workers continues with ferocity. The arrest of leaders continues, and those who are already imprisoned come under enormous pressure. For example, Shahrokh Zamaani and Mohammad Jaraahi, two of the jailed labour leaders, continue to be subjected to constant pressure – made all the worse for Jaraahi, because he is suffering from cancer, and the regime refuses to allow him to have appropriate medical care. Behnaam Ebraahimzaadeh had been in solitary confinement under physical and psychological torture for 54 days, and Jafar Azimzaadeh spent 46 days under torture during an illegal arrest. First, those of us both inside and outside of Iran need to fortify international working class solidarity by contacting the unions and labour organizations outside Iran, asking for their support, and engaging them in the struggle of workers in Iran for their rights. Forward progress for workers in Iran has implications for progress of workers in the United States and around the world. Second, we need to continue our demands for the immediate and unconditional release of all political prisoners in Iran, including jailed workers. 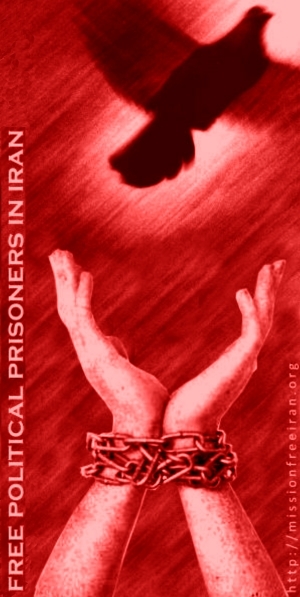 We need to organize our class in support of imprisoned leaders and representatives of workers by signing petitions for their freedom, participating in letter-writing campaigns to secure their release, or contributing our time and expertise to the organizations that are working in Iran to free jailed workers. We need to work harder to organize ourselves and our efforts to free them. Freeing workers in Iran to organize themselves and work to achieve the demands of the working class will not only improve conditions for workers in Iran and elsewhere, but will force a barbaric and bloody regime into retreat. Long live the working class.